Wanting to travel to South Australia? Adelaide is the greatest region to stay and this hotel will give you the perfect place to stay. Enfield Hotel is sensible accommodation that is the best for your accommodation needs. Featuring a restaurant, a bar and a childrenâ€™s playground, Enfield Hotel is less than 15 minsâ€™ drive from the Adelaide city centre. Guests here enjoy complimentary parking. Free breaky supplies are provided and include cereal, milk, juice, a muesli bar and fruit. Accommodation is air-conditioned and includes a fridge, an electric kettle, a Television and a desk. The private restroom has a shower and a toilet. After a busy day, guests can meet friends for a drink in the bar. There is also an on-site restaurant which serves traditional pub meals including beer battered fish and chips, chicken schnitzel, and roast of the day. 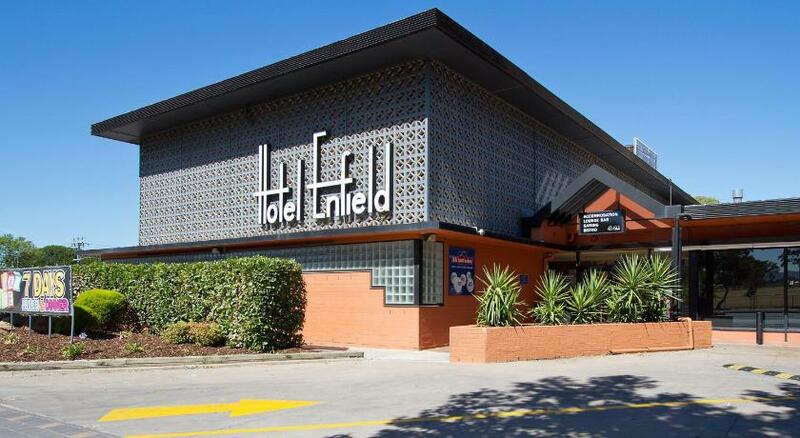 Hotel Enfield is a 5-min drive from North Adelaide and Adelaide Oval. Adelaide Airport is a 10-min drive away, and the beach areas of Semaphore and Tennyson are a 25-min drive. This property has been online since Jan 14, 2014.